If you are looking for the slim design of a caddy and the resilience and high performance of a professional vehicle, Alke's ATX electric vehicles could be what you need. 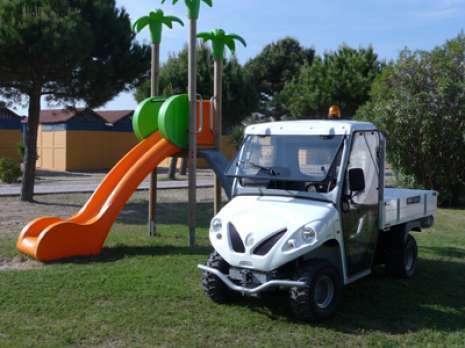 A caddy, or more commonly known as a golf car, is a vehicle operated both electrically and with a combustion engine. 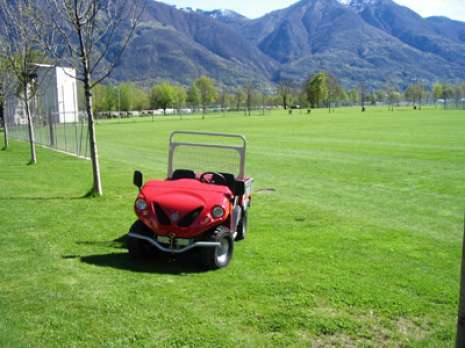 In general it is used to carry a small number of passengers across short distances at speeds of less than 24 km/h. 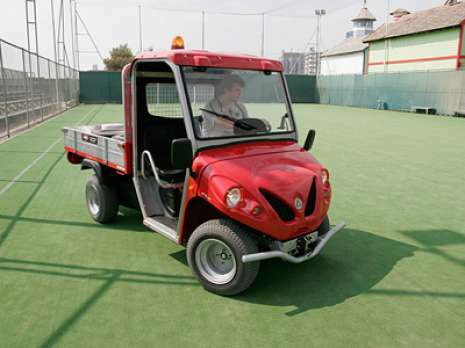 Generally the caddy are vehicles that weigh around 400-450 kg, are about two and a half meters long, 1.2 m wide and 1.8 m high. 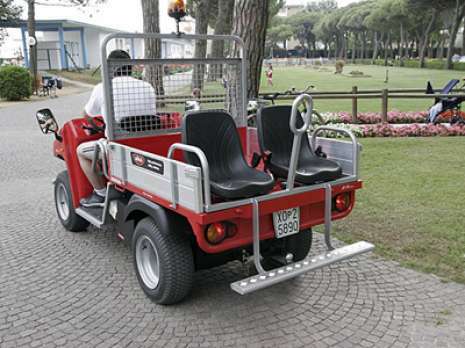 Namely, a caddy is used in golf courses, airports and tourist facilities, mostly to carry people and occasionally also to carry goods or luggage. Alke's ATX vehicle is very similar to a caddy in size, but has a more resilient chassis and a more powerful engine (8 kW, instead of 2/4 kW of a caddy). 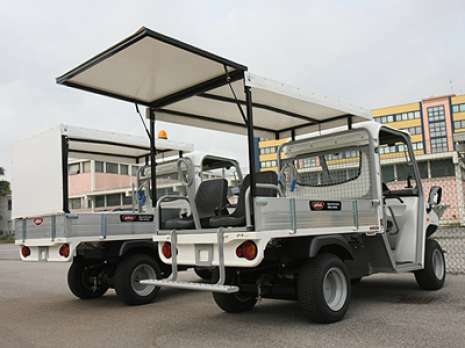 It is used for maintenance work and to carry people or goods when a more resilient vehicle with a load capacity greater than that of a caddy is required. Here below is a table comparing the average features of an electric caddy with those of Alke's ATX vehicles.